In ‘The Ten-Year Nap,’ Meg Wolitzer explores the paradox of modern motherhood. “My job is to take care of you,” I said as I reheated the previous night’s dinner. After a scoff of indignation, I thought, no I get it, being a mom isn’t as jazzy as being a firefighter or a doctor in her eyes. Sure, I write and work part-time, but, for the most part, I take care of her. My next thought was that even if I had an “important job” and didn’t spend most of my time taking care of her, someone has to do it. What’s wrong with it being me? Then my mind flip-flopped: I’m setting a bad example. I should get a real job. Finally, I realized that my internal chatter sounded a lot like that of the women in The Ten-Year Nap by Meg Wolitzer. Amy soon finds out that Penny is involved in an affair and gets sucked into melodrama of it all. Meanwhile, Amy’s friends who also opted out of promising careers to raise their children, question their own choices and sometimes Amy’s sanity as she falls deeper into the abyss of her obsession with Penny Ramsey. 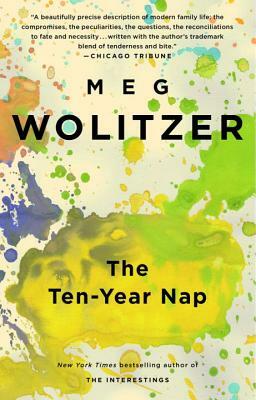 Many readers criticize The Ten-Year Nap for featuring privileged characters, but that was the only way Wolizter could tell the story she set out to tell. The Ten-Year Nap is a kind criticism of the opt-out generation, and the only women who were/are able to opt out are privileged women. Besides, every book doesn’t have to be about suffering and Wolitzer never claims that the women in The Ten-Year Nap are truly suffering. Instead, The Ten-Year Nap is a keen observation of what self-actualization looks like or, rather, doesn’t look like for women. Though her characters aren’t diverse in The Ten-Year Nap, I appreciate how Wolitzer illustrated a breadth of personal experience among her chosen demographic. Also, because of how poignant I found Wolitzer’s writing, I suspect that at least some of the criticism of The Ten-Year Nap is a phycological projection of readers’ personal dissatisfaction with their own choices and circumstances, so don’t let the bad reviews scare you away from The Ten-Year Nap. It would be a travesty to miss out on Wolitzer’s gorgeous prose! 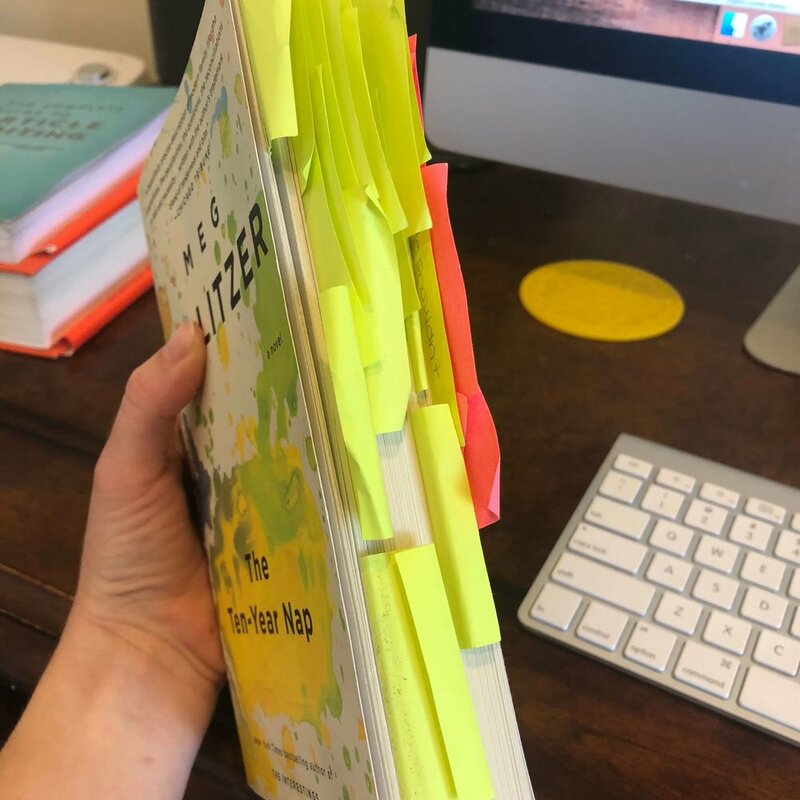 As you can gather from my excessive use of post-it notes, I loved The Ten-Year Nap. Great literature is unique in its ability to transcend the self and reveal universal truths, and the universal truth at the heart of The Ten-Year Nap is that motherhood is a paradox. Wolitzer writes, “Women who worked were exhausted; women who didn’t work were exhausted. There was no cure for the oceanic exhaustion that overwhelmed them. If you were a working mother you would always lose in some way, and if you were a full-time mother you would lose too. Everyone wanted something from you; you were hit up the minute you rose from your bed, Everyone hung on you, asking for something, reminding you of what you owed them, and though the middle of each school day or workday seemed to be open and available, this wasn’t the way it felt.” (p.87) It’s quotes like this that made me fall in love with The Ten-Year Nap.